30,000 runners will make the 26.2 mile journey from Hopkinton to Boylston Street next Monday morning for the 121st running of the Boston Marathon. Unfortunately a lot of major marathon news lately has revolved around doping—from the controversy surrounding Galen Rupp and the Nike Oregon Project to just last week the 2016 Rio Olympics Marathon champion Jemima Sumgong tested positive for EPO. But let’s not let this take away from the amazing field put together by the BAA for this year’s race which will include both defending champs—Lemi Berhanu Hayle and Atsede Baysa, both of Ethiopia. 2x champion Lelisa Desisa has had a lot of success in Boston but is missing from the list of entrants because he is off training for Nike’s sub-2 hour marathon project which is expected to go down later this spring. With last year being an Olympic year, Boston lost a lot of the American big name favorites that fans are used to seeing. This year, they are back! Galen Rup, Meb Keflezighi and Jared Ward—our 2016 Rio Olympic Marathoners—will all be running and looking to take down the East Africans. On the ladies side, Shalane Flanagan had to withdraw due to injury leaving good odds for American Desi Linden. She will be joined by Jordan Hasay, who is making her marathon debut. Are you running on Marathon Monday?! I’d love to follow and track you! There is nothing more motivating and powerful than watching a marathon. From the elites to the back of the pack joggers, everyone has a story to tell about their journey and months of training. Locally you can watch live coverage of the event on CBS Boston WBZ-TV beginning at 9am on race morning. For national coverage, check out NSC Sports Network. They will air a preview show on Sunday at 8pm on Universal HD interviewing some of the athletes and setting the scene for this year’s race. Live coverage will begin on NBC Sports Network at 8:30am. The wheelchair start is at 9:17am. The women’s elite start is at 9:32am; the men start at 10:00am. The Boston Marathon is one of the World Marathon Majors along with New York, Chicago, London, Tokyo and Berlin. To those that don’t follow the sport, next Monday’s race is a big deal. Boston is similar to the Super Bowl of football. Or the Kentucky Derby of horse racing. Shalane Flanagan has said in multiple interviews that she would rather be crowned Boston Marathon champion over Olympic champion. Elites must be invited to race whereas non-elites have to earn the elusive Boston Qualifying time or raise money for one of the many wonderful charities. This year’s race has an $830,500 prize purse plus an additional $220,000 if records are broken. First place men and women will earn $150,000 while runner up receives $75,000 and second runner up received $40,000. Even 15th place gets $1,500. Bonuses are awarded for fast times—$50,000 for a World’s Best (Men 2:02:57 by Dennis Kimetto in 2014 & Women 2:15:25 by Paula Radcliffe in 2013) and $25,000 for a Course Record (Men 2:03:02 by Geoffrey Mutai in 2011 & 2:19:59 by Buzunesh Deba in 2014). The elite field features 6 past champions, 19 Olympians and 2 Olympic medalists. Meb Keflezighi was the most recent American to win the Boston Marathon in 2014 but Boston has not seen an American woman win since 1985. Did you know that the marathon expo is open to the public? You don’t have to be a registered runner to attend. It will be held race weekend at the John B. Hynes Convention Center featuring many great sponsors, brands and companies with a passion for running, health and fitness. Many give away samples and free advice. Saturday April 15th is the BAA 5k and BAA Invitational Mile. While registration is full for the 5k, I totally recommend you checking out some great races. The men’s mile is at 12:50pm and the women go off at 1:00pm. Some of the best middle distance runners race every year two days before the marathon. The invitational mile is a 3-lap course (great for spectating!) beginning on Boylston Street and finishing at the Marathon finish line. Race volunteers went through an exclusive application process early in the year and 8,000 were selected to cover all areas from the expo to the start line, water stations and finish line. If you would like to volunteer in 2018, set a reminder to check the BAA website right after the New Year. Over 500,000 spectators are expected to line the course. Because Boston is so crowded and a point-to-point race, you may only get to see your favorite runners once. The year I got to experience Boston, Lizzie and I cheered from about the 40k mark then walked to the finish line to meet up with a friend. Any of my readers have experience navigating the course? Where are your favorite places to watch? While I’d rather be caught dead then cheering for the Red Sox, they do have a cool tradition of playing a home game on Patriots Day—aka Marathon Monday. Game time is set for 11:05am. Watch the game at Fenway Park then head into Kenmore Square to cheer on the runners. Interested in running in 2018? The race is scheduled for April 16th. You can find all the Boston Marathon Qualifying standards here. The BAA also compiled a list of the top 25 marathons most frequently used to qualify. Some of the more popular races include Chicago, New York, Philadelphia, California International, Grandma’s, Marine Corps, Twin Cities, Houston and Baystate. You can view the full list here. 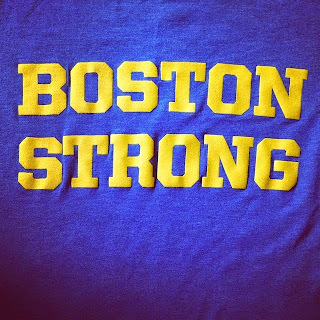 · Most of the Boston Marathon course is actually run outside of Boston. Runners reach Boston proper at about Mile 24.5 after running through Hopkinton, Ashland, Framingham, Natick, Wellesley, Newton and Brookline. 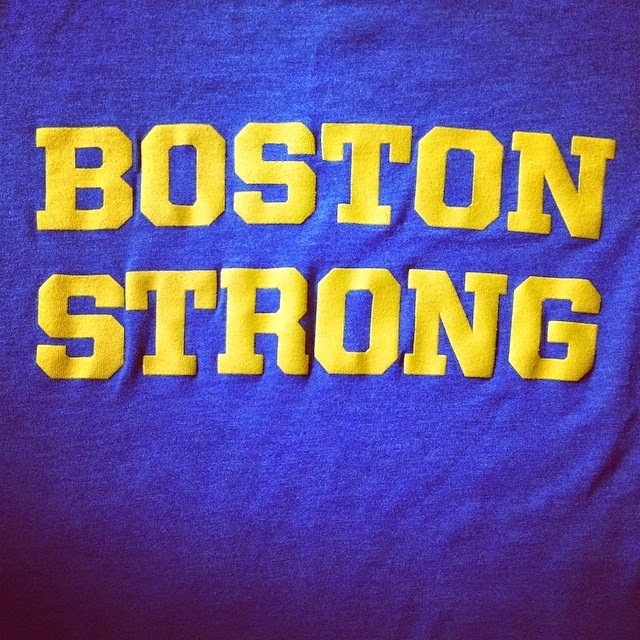 · The Boston Marathon has always been held on Patriot’s Day but from the first race in 1897 to 1968, the Boston Marathon was held on April 19th unless the 19th fell on a Sunday. Now Patriot’s Day and Marathon Monday is celebrated on the third Monday in April.